The 2018 Toyota Corolla exterior stands out with distinctive lighting, sporty curves, and flashy alloy wheels. Find out more about these design features that are sure to turn heads near Bowling Green. These standard Bi-LED headlights illuminate the road ahead and give the Corolla a sharp first impression. Multi-LED headlights with LED accent lights are also available. Choose between 15-inch, 16-inch, and 17-inch wheels in steel or machined alloy. Select options include black or dark-gray painted accents. These trims receive a front fascia that communicates speed and refinement. Cut through the wind with a premium Corolla trim. Improving the aerodynamics and eye-catching good looks of the new Corolla, this spoiler is included with the LE Eco, SE, and XSE models. 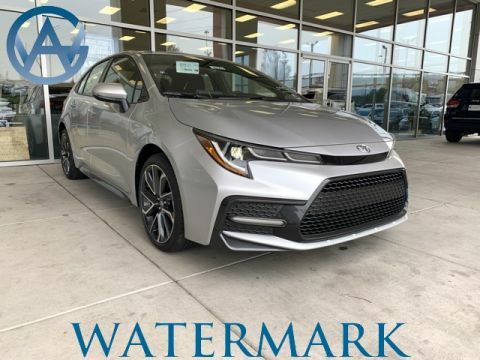 Compare the Toyota Corolla to the Ford Focus in fuel economy and standard features before you visit Watermark Toyota in Madisonville, KY. Explore our new Corolla inventory today! 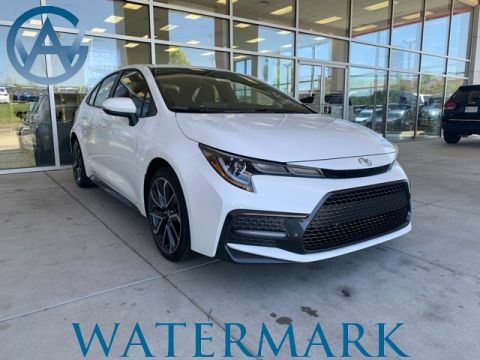 We offer an extended Watermark Warranty with all our new vehicles, and you can contact us to find out what to expect from the 2019 Corolla. Our sales team is happy to show off how the Corolla outpaces the Honda Civic.